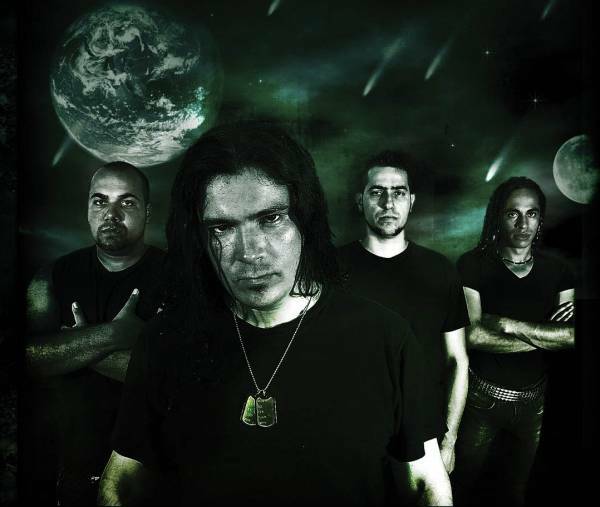 Pervencer was formed in 2006, when drummer Fabio Amaro and guitarist Ricardo Gallonetti gathered some friends to play extreme music. The band began playing live in 2007 and recording original songs in 2008. In 2009, Tiago Sammael took charge of the vocals and in 2011 Nando Ferreira took charge of the bass, thus completing our current line-up. We play a brutally technical music, built up from the assimilation of elements from various extreme metal genres. Some of our main influences include Cannibal Corpse, Death, Decapitated, Kataklysm, Krisiun, Morbid Angel, Slayer, Necrophagist and Nile, among many others. Well, we put a lot of effort on making great brutal music, mixing over the top brutal drumming, with catchy riffs and vociferated sharp ideas. "Extermination Is Right" (2011) - The 1st Pervencer EP and highly praised, figured among the top 5 of the year in the Demo/EP category according to the brazilian website Polemico Rock. The work demonstrates the band development, with four tracks of pure destruction and contempt for the paths of the human race: "Destruction Of Your Body", "Hipocrisy", "The Real Nightmare" and "Disease". The EP also includes the webclip for the song "Destruction of Your Body." "Labyrinth of Death" (2009) - 1st Pervencer demo, still with Eduardo Gruska on vocals and Adriano Machado on bass, it was recorded, mixed and mastered at HP Records studio in the city of Salto-SP. This first demo features four technical and overwhelming songs: the title track "Labyrinth of Death", "Occult Faces", "Pervencer" and "Mythology". Seeing us live is the best way to understand the overwhelming war machine that is our music. Devastating the ears and necks of all those who cross our path becomes our only objective when we step on stage. As mentioned before, we have played live for some years in many brazilian cities, with renowned bands such as Torture Squad, Evergrey, Nervochaos and Decapitated among many others. We are currently touring to promote our latest work, the "Extermination Is Right" EP. We are a very stable and experient band, dedicated, serious, innovative and passionate about our music as a means of creation and self-expression. We are currently looking for new international contacts and projecting brand new songs for our upcoming mass destruction device: a debut album, which will be unleashed within the next few months.